Very similar to the movie, “Night of the Living Dead”, we’ve all known the floppy was a walking corpse. Since 2003 when Dell stopped putting floppy drives in their systems, we’ve been watching a Dead Man Walking. OK, OK, I’m sorry, I’ll stop now. Sony has announced that they will no longer produce the outdated storage medium as of March 6th, 2011 or before if sales continue to drop. Because Sony is responsible for 70% of the worlds production, this pretty much spells the end of the funny named media. Floppy is a funny word you know. Just one of those words that’s fun to say. People like to make fun of it like the Cialis commercials. What a relief to not worry about including it anymore. For the past two years, even though I knew they were dead, it was still a source of stress when deciding not to include one in a system build. I could always come up with a reason to add it in. Now, with any luck they just won’t be available. Thank you Sony. Here’s to your now dead floppy. It has served us well. Who invented the first floppy? Answer: Yoshiro Nakamastu in 1970, but he gets no credit as he licensed the technology to Sony . There seems to be some confusion when you get to who made the first one, who invented the technology, first 8″, first 5.25″ first 3.5 inch. IBM did the first manufacturing and it was an 8″ floppy. This was followed by a 5 1/4″ and then the 3.5 hard shell by Sony in 1981. If you like to search this sort of thing out, there is plenty of Google/Bing info. The Pit Blog dead man walking, Floppy, inch, last ditch effort, Man, odd sort, sort, technology, walking corpse, yoshiro. permalink. OH NO! Strange, but 10 minutes ago I was looking at my floppy disks wondering what I should do with them. I have an entire SHELF of old floppy disks with information I will probably NEVER need. 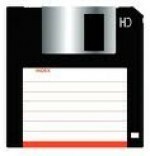 If you hear of anyone needing floppy disks, I would be glad to erase and resell mine! LOL!!!! Maybe now I can throw mine away. Being a avid laptop only user for a few years now I have not missed having a Floppy drive.I used a bootable USB drive when flashing the BIOS on my laptops video card and never had a issue.With that being said there are some that are going to want to keep it for now.But its not like they will “disappear” after Sony stops supporting it.There is more then enough stock floating around to cover demand for it.I think I still have 4 or 5 drives in my closet now that will most likely see the trash before they see a Floppy drive bay of a computer. I just built a new system a few months ago and didn’t include a floppy drive in it this time. This will be the first one without a floppy. My older system now sits idle with the 3-1/2″ floppy drive in the bay. I think in the 4 years of using this machine, I used the drive twice and that was to read some really old data for someone and save the information to a flash drive. I too have boxes of floppies sitting in storage boxes. There are tons of programs on them along with saved data, and numerous software patches that came out over the years. I’m wondering now if they will work, and if the programs would run on the new systems – probably not now that I think about it. It’s sad in some ways to see this legacy device go away. The floppy was synonomous with the personal computer and personal data. I suppose this is the way things are, and like everything in life it’s out with the old and in with the new.